DotNetGallery is an ASP.NET server control designed for easy displaying image galleries in the aspx pages. 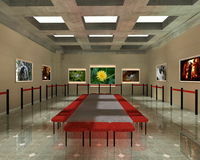 It is a file-based , dynamic, image gallery. 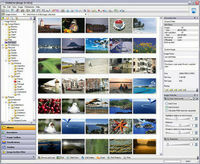 It is also a highly configurable application that automatically generates fast thumbnail indexes of a folder structure. 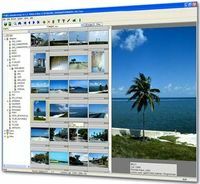 This robust ASP.NET Image Gallery can be integrated seamlessly with the Microsoft� IBuySpy Portal sample, DotNetNuke, or your own .NET applications. You can use DotNetGallery to quickly develop great looking slide shows and photo gallery. It is also effortless to implement . All you need to do is put DotNetGallery.dll into your project bin folder. 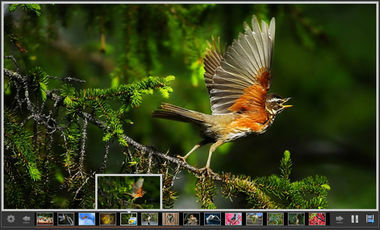 All the images and pop-up files will be extracted from dll automatically when the first hit comes to the page.